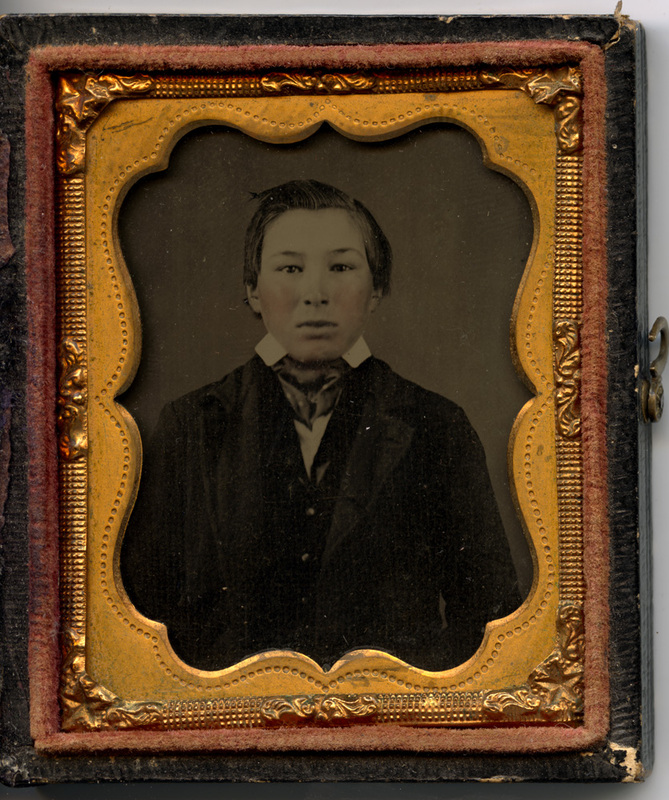 This was a wonderful find – a photo of a Penobscot Indian boy, in Anglo attire and haircut. A 1/9th plate ambrotype in a half case. Most fortunately, when the packet is removed from the half case, there is some attribution to the image. The subject himself remains unidentified, but the photographer put his name, location, and the date taken on the back. 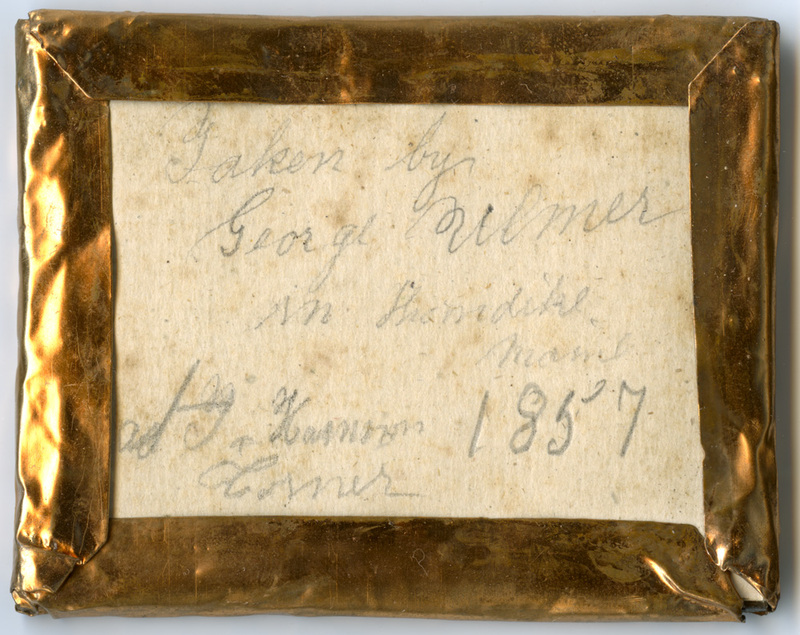 It appears to be George Ulmer(Bilmer?Kilmer? ), in Thorndike, Maine 1857 At T & Harrison Corner. T could be short for Thorndike Road. If anyone has any information about an Indian School in Thorndike, Maine in the 1850s, or even better can point to attendance records, I would be eternally grateful.